Rock Band will feature fictitious glam metal band Vesuvius’ song “Promised Land” from the movie The Rocker alongside next week’s list of normal tracks. The downloadable song will be released on Xbox 360 Marketplace and on the PlayStation Network on July 3rd. This news comes on the heels of another parody band, Blizzard’s own “Level 70 Elite Tauren Chieftian”, who released their World of Warcraft-inspired track “I am Murloc” as a free download in Guitar Hero III. 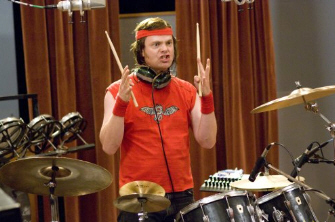 The Rocker, is an upcoming comedy film from Fox (which hits theaters on July 30th) about a musician known as “Robert “Fish” Fishman” (Rainn Wilson – The Office, Wheelman) who is fired from Vesuvius, a fictional ’80s hair band, before they become famous. The movie follows him as he gets a second chance at fame when he joins the garage band of his nephew Matt (Josh Gad). His love interest (Christina Applegate) is the mother of the band’s guitarist, Curtis (Teddy Geiger). Pete Best, a former member of The Beatles who suffered a similar fate, has a cameo role in the film as himself. Also releasing as part of next week’s Rock Band tracks update is a tribute to the Motley Crue-headlined Cruefest concert tour. 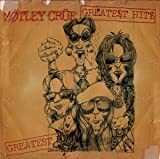 Included as part of the Cruefest Pack will be Motely Crue’s “Down at the Whiskey,” Papa Roach’s “Time Is Running Out,” and Trapt’s “Who’s Going Home With You Tonight.” The Cruefest Pack can be purchased for $2.99 (240 Microsoft points), or each song can be picked up individually at $.99 (80 Microsoft points) a piece. Here’s a trailer for The Rocker.